A cost effective way to brand your packaging. 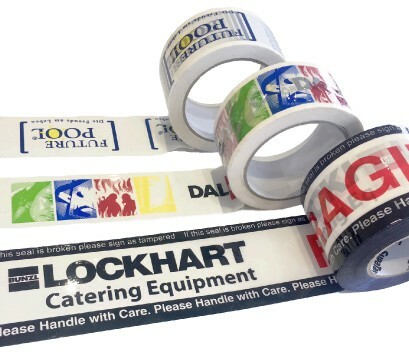 Custom printed packaging tapes are becoming increasingly popular for good reason not only is it an effective way to brand different packaging it also acts as a security alert as branded tapes cannot be removed and replaced. We offer design, manufacture and print of high quality custom printed tapes to businesses accross the UK if you are interested in finding out more get in touch with us for a quick quote. We also offer other bespoke packaging design options including bespoke boxes. Click the link to find out more or get in touch to discuss your requirements.